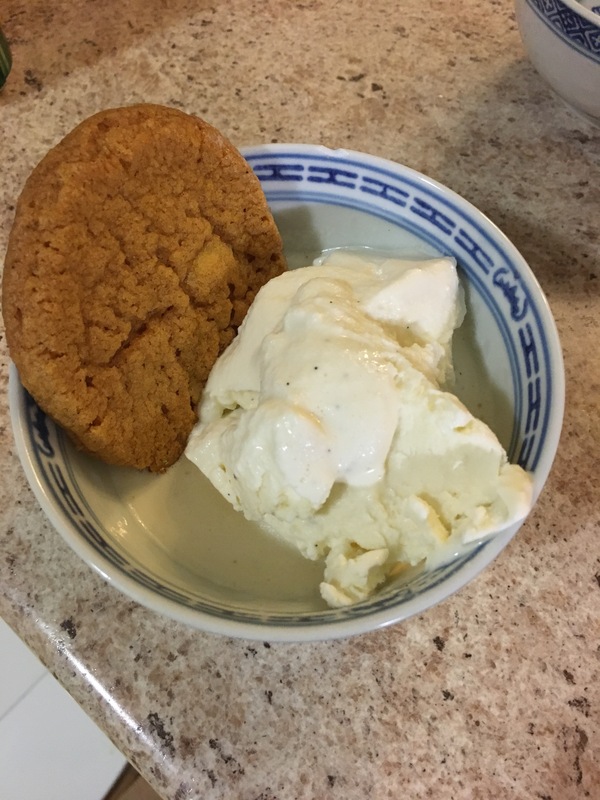 This is 3 ingredient ice cream, all real, all delicious. We haven’t used our ice cream ball to make ice cream since Evie was a toddler. She actually had forgotten it. This is an ice cream ball, actually a camping accessory, but works at home just as well. 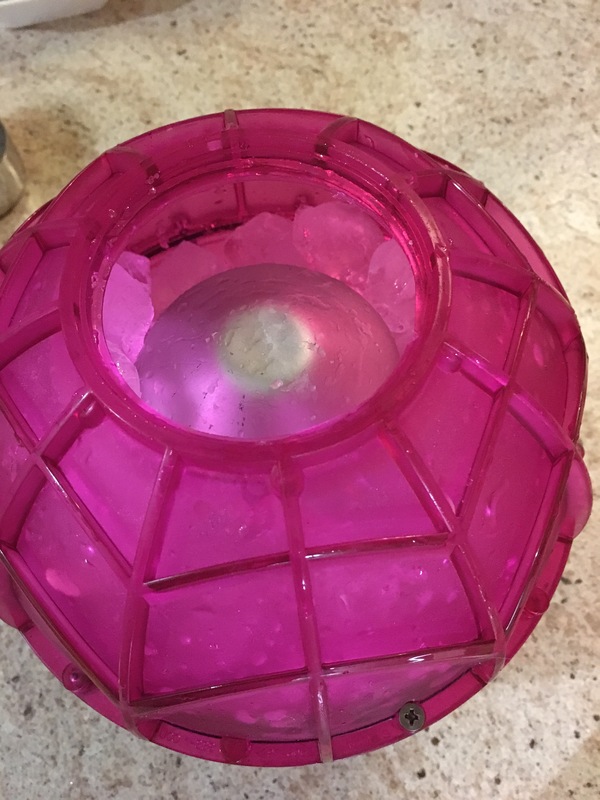 The inside of the ball gets filled with ice and 1/2 cup of rock salt. 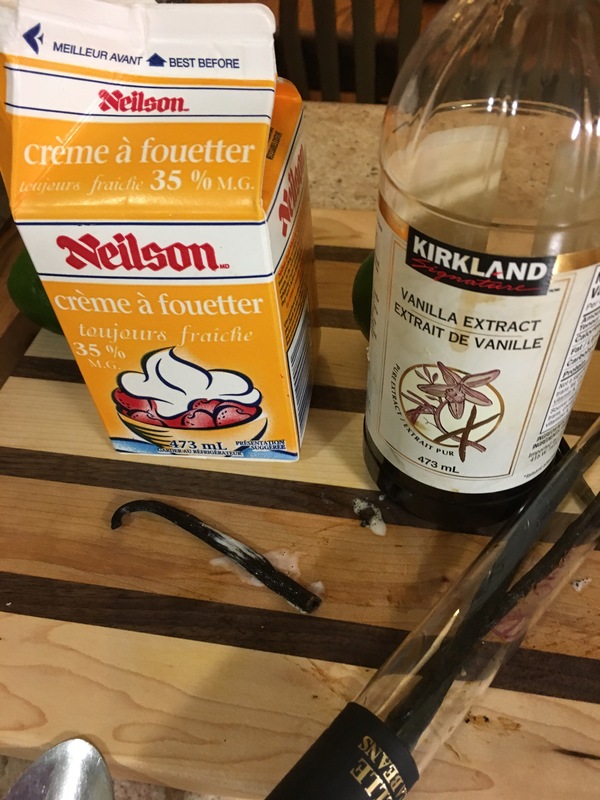 The inner metal canister (on the other side) gets filled with 2cups of cream and 1/3 cup sugar and a little vanilla, we added some vanilla beans as well. Place the lids tightly and roll and shake for 15-20 mins. 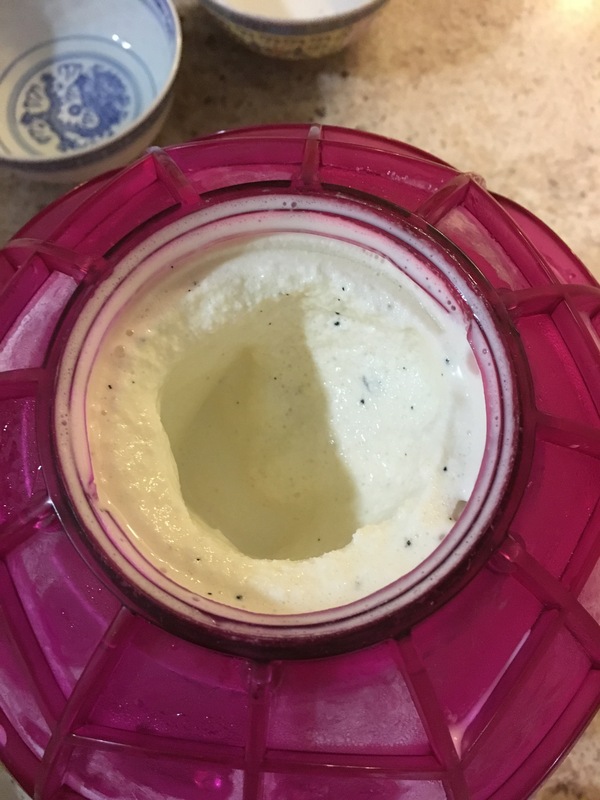 This entry was posted in creating with children and tagged camping, cream, homemade ice cream, ice, ice cream, ice cream ball, real food, rock salt, three ingredient ice cream, vanilla. 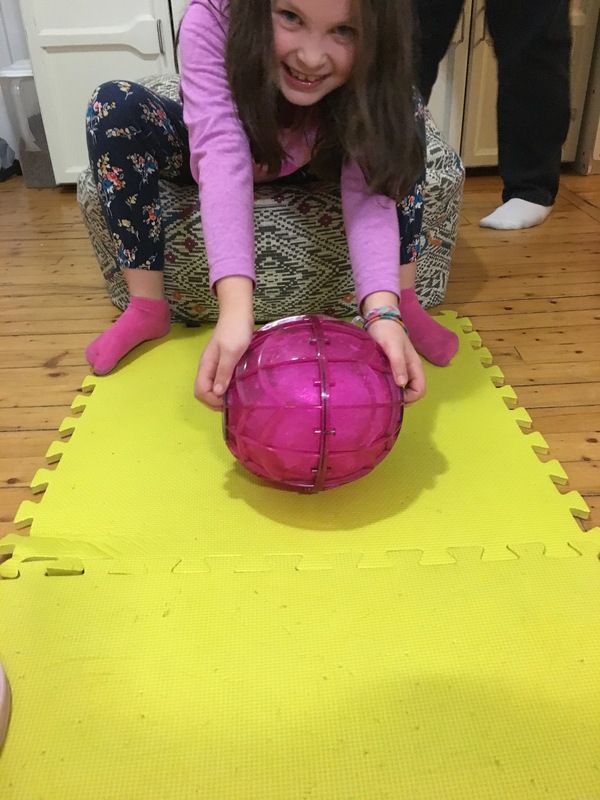 I love this ball. What fun! Awesome. Haven’t seen an ice cream ball before – good exercise too I’d say. Will have to see if I can source one here in SA. Have a fabulous day Lori. Hi Evie’s Mom, this is such a great idea! 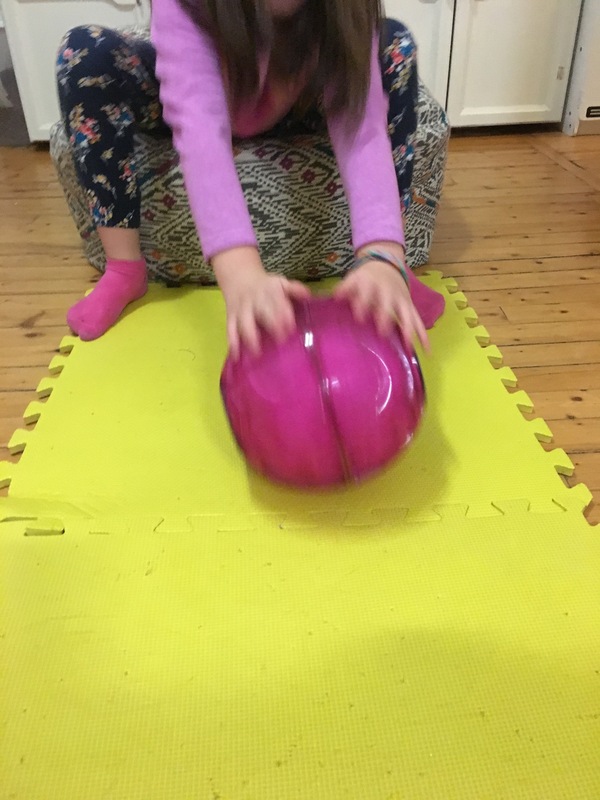 D’you mind me asking where you got your Ice Cream-making Ball? I think we got our ice cream ball from LLBean, but you can also get from amazon.